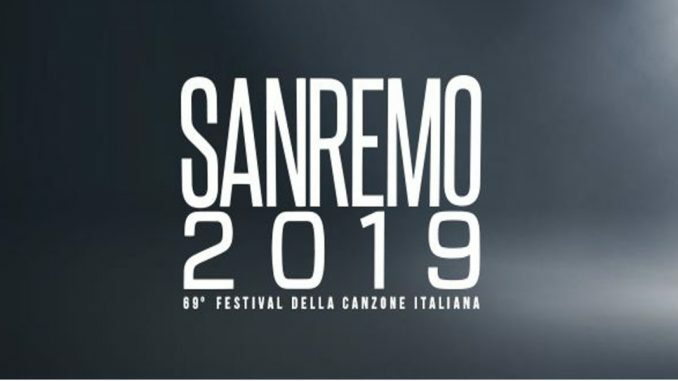 As the prestigious San Remo festival comes to a close, we will, tonight, find out who will represent Italy at The Eurovision Song Contest 2019 in Tel Aviv, Israel. It will be the winners of the big artists section who are automatically given this right, but they are not obliged to accept. If you are an Italian viewer viewer, you can watch the show on RAI Uno, or if you are an international viewer, you can watch the show here. The live show starts at 20:30 CET and all of the recent comment will appear at the top. Comments will appear in CET. Are they wanting to play their own version of play your cards right? what is going on here? 00:53 CET : Results time, finally! The audience are not happy that these 3 are in the super final. Looks like it is a 2 horse race, or do we have a dark horse? Now all of the songs are over, the presenters have started singing again, while we wait for the results to come in from the judges, juries and televoters. Last song of the evening. This song is more suited to being a poetry framed song because of the way it is composed. It is about the sea and the different shades of blue in the background reflect this really well. The voice is great, but still would need a lot of work if they were to win tonight. He is wearing smart casual, something you typically would wear by the seaside. He is wearing a glittery black outfit, which stands out really nice. His voice is amazing, but it does not seem like the right fit for Eurovision. As the song is all in Italian, we don’t know what it is about. His voice works well with the orchestra, which makes me think he would be a good festival singer but not a competition singer. Black and Green is another popular colour theme tonight for select artists. This has a flamenco sound to it, which is a bit strange for an Italian competition, but it is unique and that is what people like. This is getting a great reaction from the audience, hopefully this will give the public the boost they need to vote for them. They are wearing all dark suits which is nice and different, and it suits the style of the song as well. The voices work well together in harmonies especially in the chorus. Time for the night time news in Italy, then back to the remainder of the competition. Starting to get tired, and this show has over ran, and we still have a few acts left to hear and critique. Ballads are quite popular this year in the competition. The black and orange background also seems to be popular among a group of this years contestants. Enrico is wearing a smart casual suit and fits in at the competition really well. His voice is great and he sings the song to the best of the ability and you can see the emotion and how much the song means to him at the end when he becomes emotional. Another one of the better sung songs tonight. There are 2 people in this song, although one is only listed as competing. Ermal Metta sings some of the duets on this song, but is not competitively credited for them. the duet parts are actually what make this song stand out, plus Ermal Metta is a familiar face to the crowd in San Remo, having won it last year. He is wearing all black, and a lot of thought, passion and emotion goes into what he sings. Rapping is a huge no no for Eurovision and even more so in this festival. It does not go well in the setting, and not many people vote for rappers. However, the black and white background does compliment the costume, nothing else to say about this, apart from it is a big mistake to chose a rapping song to compete with this this prestigious competition. Reminds me of a really awkward father and sun duet that does absolutely nothing. The voices are so out of place, and they do not compliment each other at all. These 2 people would have been better entering this festival as individual acts, they probably would have had more success that way. however, they are both wearing all black, and are trying the best they can knowing that they don’t really work together as a musical act. Staging was plain and there was zero chemistry between the 2 of them anyway. This show is getting more and more like a Maltese show every time I see an advert break. Black and Green is really clashing with the singers grey outfit. He has the mannerisms or the Gallagher brothers. The singer repeating Rolls Royce over and over again becomes quite disturbing after a while. Although his vocals are strong, its not a great composition overall. Very strong male vocals for this song. He has very quirky staging with a white background with black music notes coming out of it. He is singing with the help of a choir which has not been done so far tonight. The choir compliments the main singer, but would not be allowed on stage at Eurovision due to the 6 person on stage rule. His voice is talking the song rather than singing it, which is not a good look. Arisa has previously sung with British legend Tony Hadley. She has purple and white staging which looks very pretty. This is a cross between a ballad and pop as it has changing temps throughout, and Arisa manages that well. Her voice is extremely strong and copes well with the temp and key changes. Not a Eurovision type song. This is becoming annoying, we want the results please RAI. Presenters try and sing the theme tune to a well known programme, The Adams family, not sure if this is appropriate or whether it was scripted. Either way, it is rather funny, regardless of how it is perceived. This is beginning to feel as long as the Maltese shows with as many advert breaks there are! Pink lighting does not compliment this singer at all, it makes him look washed out against the background that he has. His high tones voices compliments the orchestra provided by the competition, it is these types of songs that should have orchestras back in Eurovision, and they would do well should the orchestras come back. Not the best of the song although the song is performed well. WOW! This is what we have been waiting for. Harmonies are still perfect, however the song isnt as strong as their last attempt at Eurovision, which is slightly disappointing, but still a good try from them, and they still remain popular among the Italian public. Each singer takes it turns then they sing altogether. This is by far the best so far, and they have a strong chance of returning to Eurovision due to their popularity which is still growing. Singers are quite casual with one wearing jeans and the others wearing smart casual suits. The cheers they get after is amazing. The staging has Black and orange in it, which doesn’t really do much for the song. This is a band so there is no need for the orchestra, and this works well for this time of slow tempo rock style of song. Voice of main singer compliments the keys and tones of the song very well. Costumes are not all the same. The main singer is wearing Brown and black, and the other 2 accompanying singers are wearing all black. The 2 singers work well in harmonies, but not as good as the act coming up next. 22:35 CET – Advert breaks… again! Time for more advert breaks. Time to change the staging and re-warm up the audience in the arena. Great costume and great blue hair. Again, staging was plain and there was not much moving about from the singer. Orchestra did not add anything extra to the song. Singers voice was extremely strong in the chorus, and popularity had built up over the week. Singer was wearing a dress, but not the type of dress for this occasion. Famous Italian singer, Claudio Baglioni is singing a few of his songs, so far there has been 3, and we are not even half way through the competition yet. Some fun from the presenters before we go into the next set of acts. An attempt of Singing in the rain, and it is going down rather well considering how funny it is. Nek is giving major Robbie Williams vibes, He has his looks, type if voice and stage mannerisms, and he is wearing all black and he is styled like Robbie with his costume and hair. He knows how to work the camera and crowd this would work to his advantage at Eurovision. He had a slow Rock song, which again is something Robbie Williams would sing. This song is not the best of the bunch we have had so far, and according to reviews through out the week, there is better songs to come. Background for the song, like most so fair, is relatively plan with very little colour. Costumes suit the tempo and style of the song very well, and the piano playing was excellent. There is more effort in this song than any of the others tonight. Very deep voice and the song is being spoken rather than sung.the big blue aviator sunglasses are a big distraction. Voice gets better throughout the song, but the voice still needs some work should this win tonight. Staging is very plan with no artistry in the background, and the singer has own accompanying band rather than using the provided orchestra, which can happen in the festival. Overall, a weak effort. Anna is dressed in a stunning navy blue full length dress, meaning she has certainly dressed for the occasion. The song is a pop song with elements of Ballad in it and it is sung all in Italian, as all the songs are. She is coping well with the changes in temp from fast to slow and back again. Her vocals get stronger as the song goes on, making the song more dramatic. This maybe a surprise depending on how other performances go. Her staging for this is plain, and the plain staging and orchestra compliment this song. It is this song that would do well with an orchestra at Eurovision. The 2 blokes on stage are dressed all in black, and this is probably the first time i have ever heard rap at The San Remo Festival. It does not work well with the backing orchestra, and the chemistry between the singer and band is almost non existent. The staging is Red strobe lighting and that does add some dynamic to the song and the presentation of it. Rap rarely goes down well in Eurovision. Although, they are getting a decent reception from the audience in the Teatro Ariston Arena. There was a musical introduction, and a welcome to the finale night by the hosts, then we kick off with the first of 23 songs for tonight.